LINCOLN, Mont. 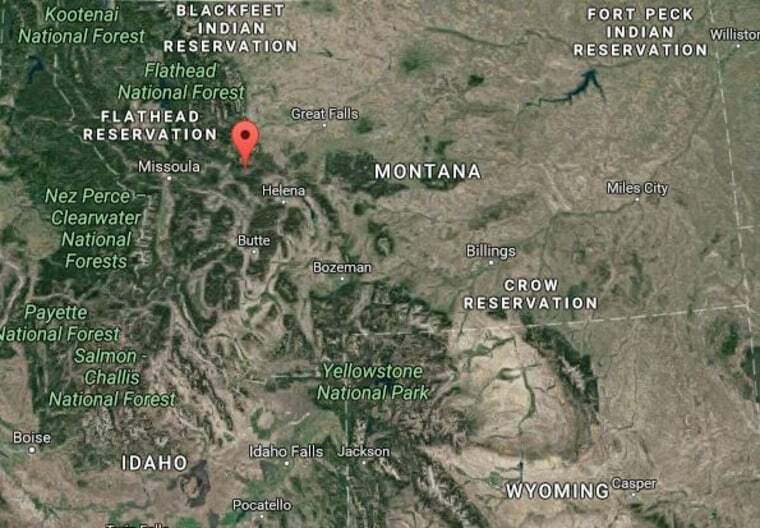 — A 5.8 magnitude earthquake hit western Montana early Thursday, according to the U.S. Geological Survey. The quake, which struck some 6 miles southeast of the town of Lincoln at a depth of about 2.5 miles, was felt as far away as Bozeman, Idaho, and Great Falls, The Independent Record reported. The earthquake created at least one aftershock. There were no immediate reports of injuries. The newspaper reported that the temblor was strong enough to knock items off shelves and walls residents of Helena, which is about 34 miles away from the quake's epicenter. A 76-year-old Helena resident said it was the strongest quake he had ever felt. Ray Anderson said his wife told him the earthquake woke up the dogs but it didn't cause any damage. The USGS reports Thursday's quake was the eighth-strongest earthquake on record for Montana. The most recent on the Top 10 list was 12 years ago. Musician John Mayer, a part-time Bozeman resident, took to Twitter to marvel at how long it had been since an earthquake of this magnitude had struck the area. "Look at years and then '26 minutes ago,'" he wrote on Twitter.